The K & H Mfg Extra-Wide Outdoor Heated Kitty House has all the great features as our original Outdoor Heated Kitty House™. 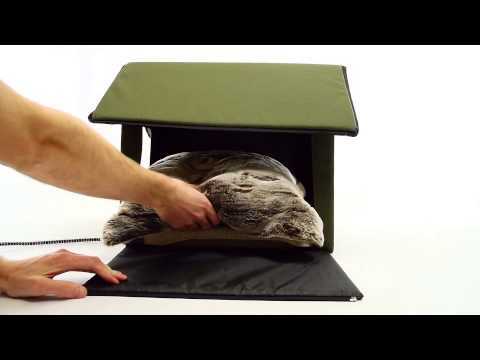 Includes a K&H Lectro-Soft™ that partially heats the floor so the cat can choose to be on or off the warmth. This extra-wide house is the perfect shelter for multiple cats. Easy to assemble with a zippered roof and ships flat. Unheated version comes with a 100% polyester, machine washable Berber pad. Includes two removable door flaps.